A kingdom since 1920, independent since 1945, Syria has become a part of our daily lives for the worst reasons: a civil war without precedent and with millions of victims. Its ethnic diversity is one of the causes that made the Arab Spring unsuccessful: among Syrian Arabs, Arameans, Kurds, Turkomans, Assyrians, and Armenians, not all wanted to oust President Bashar al-Assad, in power since 2000. But Syrian history has been holding hands with the Syrian Ba’ath Party since its foundation in 1947. With an ideology based on Pan-Arabism, Anti-Zionism, and Arab Nationalism, the party is ruling Syria since the 1963 coup d’état, reaffirming its position with the second coup in 1966 that led to the emergence of two separate Ba’ath movements (one Syrian and one Iraqi), but the Alawite Hafez al-Assad only came to power in 1971: “Hafez al-Assad, who had risen up through the ranks of the military (and intelligence services), came to power through a coup and perfected this strategy for ensuring loyalty while fostering competition between the various security agencies” (Adelphi Series, 2013, pp. 35). When, in 1984, Hafez named his son, Bashar, to succeed him, Syrian citizens believed he would allow greater openness and embrace modernity: “more in sync with his times, less rapacious, less vain and less prone to brutality” (Adelphi Series, 2013, pp. 21). The Bashar al-Assad era began with the Damascus Spring (2000-2001), a period of political tension and social debate after the annulment of the right to vote in choosing a new president for the country, once Bashar inherited his status, which gives him no legitimacy: he secured his power by surrounding himself with a powerful elite composed of Alawites, Shiites, Sunnis and Christians, among others, from the economy and politics to the military, privileging coercion and containment as instruments of rule. The distortion of the economy, the increase of corruption (with the economic, social and labor favoritism of the Alawites) and the consequent accentuation of socioeconomic inequalities in the country were notable. The first protests of Arab Spring in Syria emerged in February 2011 and the people asked for political reforms, the reestablishment of civil rights and the end of the emergency state imposed since 1963. On March 15, 2011, the Damascus authorities responded with violence to the protestants and, in April, the USA sanctioned Bashar’s government, followed by the European Union and Canada. The arrest of a group of 15 boys by the government, after having graffitied the phrase “The people want the fall of the government” in the city of Deraa, was the blowing up of a long-burning fuse. The increased tone of the protests, the violence, and the international community’s interest in the country’s situation have prompted the President to promise a number of things, including a national dialogue for political reform, new parliamentary elections, guarantees of freedoms and the return of Syrian refugees on Turkey. Bashar al-Assad also mentioned the existence of a conspiracy against his presidency, thereby implementing Sharia law and ending secularism. “The path that Assad took under the guise of reform in what Syria experts, such as Volker Perthes, Raymond Hinnebusch and Steven Heydemann, have termed ‘authoritarian upgrading’” (Adelphi Series, 2013, pp. 28). The mobilization of Syrian society was made slowly and with afraid of repercussions: “Syrians mobilized differently depending on where they live rand on their relationship to the state, and with varying levels of organization, persistence and success” (Adelphi Series, 2013, pp. 41). It was only a year before the Syrian revolt went from peaceful “into a full-scale sectarian civil war”, with the emergence of new and complex dynamics. (Adelphi Series, 2013, pp. 39). It is quite difficult to see who is not fighting in Syria; sometimes it seems everyone is fighting against everyone. But the most usual division is “government versus opposition”, however there is a division among the opposition rebels. It is possible to identify the main players as follows: the Ba’athist Syria and Assad’s allies (the Syrian Armed Forces, the National Defense Force, the Shabila, Christian militias, some foreign Shia militias, the Hezbollah, Iran, and Russia); the Syrian Opposition (the Free Syrian Army and the Islamic Front); Salafist factions as the Al-Qaeda linked Al-Nusra Front; Syrian Democratic Forces (coalition of Arab, Assyrians, Armenian, Kurdish and Turkmen militias fighting for a democratic Syria); Islamic State of Iraq and the Levant (ISIL/ISIS); and the Western Coalition (a number of countries, some of them NATO members) (Adelphi Series, 2013). The war in Syria has unfolded in several cities. Protests began in the capital, Damascus, but it was in the southern city of Deraa that the revolution was upraised. Then came Aleppo (“the mother of battles”, from 2012 to the 2016 siege), Idlib (from which came the armed opposition and rebels), Hama (from August to November 2016, this battle ended up with a partial victory for the rebels) and, finally, Homs (victim of a siege between May 2011 and May 2014 and clashes between the Syrian military and the Syrian Opposition, it was the scene of violations of the International Law). The violence in Syria is far from over, despite a cease-fire agreement between Syrian government (and Russia) and the Syrian rebels (and Turkey) have been reached on December 29, 2016. Human rights violations of all actors have frightened the international community, but they remain undaunted and serene. Resulting in millions of refugees and internally displaced persons, this conflict targets the lives of civilians still living on Syrian territory. 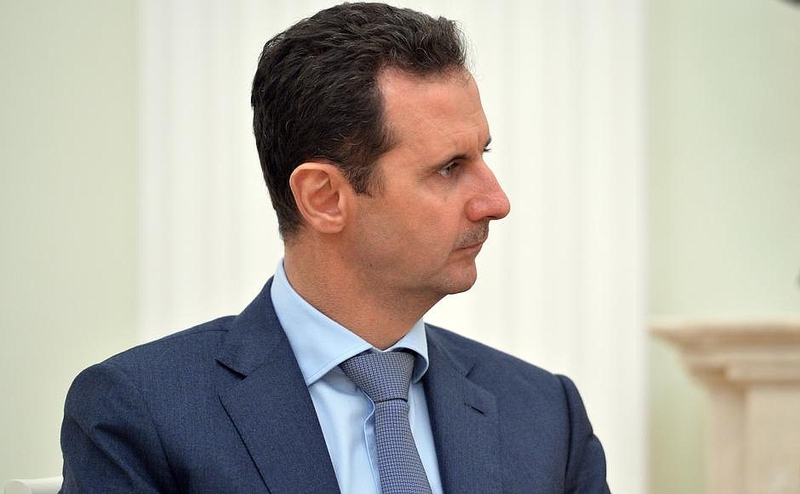 Bashar al-Assad is the President who inherited power and tried to legitimize it with adulterated elections. Iran intends to keep Assad’s Shia Syria as its ally, and Russia has ambitions to demonstrate its military power. The rebels lost the ideals of the revolution and ISIS expands its actions outside its territory in search of a caliphate, disrespecting all that the Koran represents. And in the middle? In the middle there are civilians.